us the preferred choice for hot water repairs and installations across the state. actual material in which the tank has been constructed of. as 9 times out of 10.
we get called to a leaking copper hot water cylinder and this is the exact symptom its shocking! What’s the solution for leaking copper hot water cylinder? they need to be specially ordered in, where as we have these on hand and in every service vehicle. 2.4KW another trick for the uneducated plumber. service faster than need be. Commonly installed in offices, commercial kitchens and function facilities the Rheem Lazer boiling water units supply boiling hot water on demand for tasks such as making coffee, tea, soup, cooking and cleaning of work areas. The convenience of having water suitable for making instant soup or ready to clean dirty floors is something many people enjoy day to day throughout multiple locations across the state of South Australia. At the entry level of the range from Rheem offer boiling water through there Eco range. As the name suggests it is the more basic of the 3 systems on offer. This unit comes in 3 litre, 5 litre and 7 litre options. It has a simple one button control and is finished off in a sleek powder coated white cover. Fully programmable the Office range offers unique features allowing for the system to be automatically turned on during periods of high demand and off again during periods when not in use ie: weekends for office buildings. With a choice of either stainless steel or powder coated white the Office range has been awarded an International award for design. Available in both 3 litre and 5 litre models the Office range makes a fantastic addition to any work place. Once again as per the Office range the Commercial is fully programmable and available in both stainless steel and powder coated white. The big advantage of the commercial range is its ability to deliver up to 247 cups initially from the massive 40 litre model. Ideally suited to establishments such as fast food outlets and restaurants where a large amount of boiling water is needed for tasks such as washing down floors and sanitisation of food preparation areas. Faulty cold-water inlet solenoid: This solenoid controls the delivery of cold water into the hot water tank. During the life of the system this valve can wear out and needs replacing with a new solenoid valve. Calcified outlet tap: Adelaide is known for having hard water and it in turn shortens the life of many plumbing valves and fittings. The boiling water systems dispenser is no stranger to this problem and during the unit’s life will most likely need replacing due to no delivery of hot water. Failed element: When a client notices that the unit is no longer delivering boiling water or only warm water it is a sign that the element is deteriorating and should be upgraded. 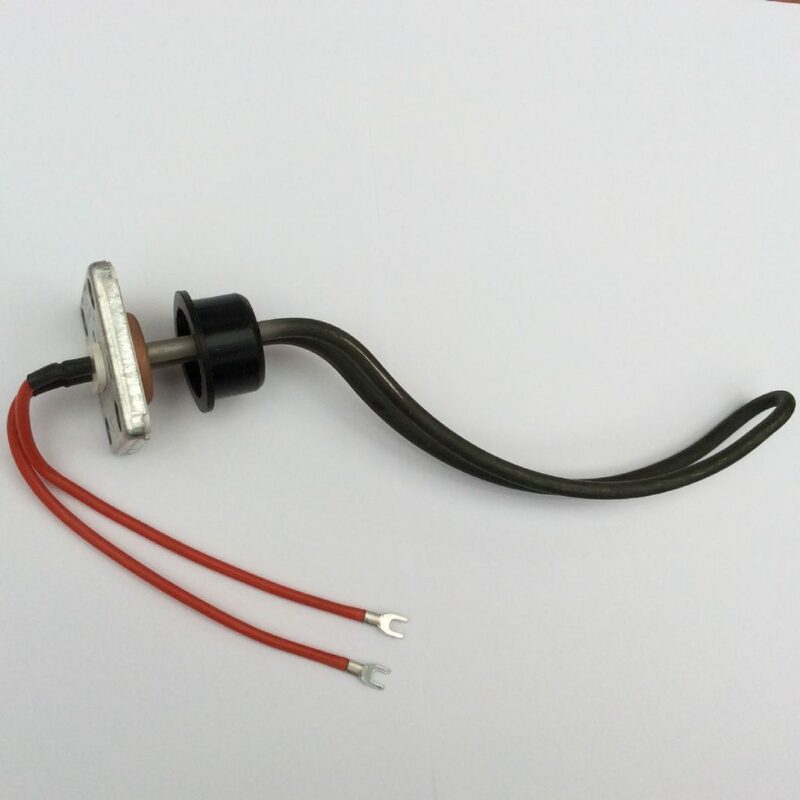 Broken temperature sensor probe: If a boiling water unit is continually discharging water at a quick rate through the vent pipe it can indicate that the temperature sensor probe is not communicating properly and not providing the CPU with the correct temperatures. The Rheem Lazer boiling water units today have a good share of the hot water plumbing market and keep our technicians busy with general servicing and replacements as nothing lasts forever anymore. Through continually working with these systems we have become familiar with how these units operate and what parts are needed to be carried in the service vehicles to enable immediate repairs as no one likes going without there morning coffee. If your experiencing difficulties with your boiling water unit let us assist you, we cover all locations across Adelaide and in most cases, we will be out to you in the same day. The South Australian Government has various options in the form a money back rebates for customers replacing their water heater or putting in a completely new style of heater in. Depending on your situation the variables are all different and we will go through them in this post. If you are replacing an existing heat pump such as Quantum or Chromagen it must be a minimum of 6 years of age, so in short if your heat pump has lasted past its cylinder warranty which is typically between 5 and 10 years (every manufacturer is different) then you will be entitled for the rebate providing the work is performed by licensed trades people. The model and brand which you choose will affect the rebate. For example, a Stiebel Eltron 302L with smart element currently has a $1,080 plus gst rebate on it, it’s a great saving. The same rebate would apply if you were to remove an existing electric storage water heater such as a Rheem Optima 250L or DUX 250L and replace it with the Stiebel Eltron 302L smart element water heater. Natural gas has a few different options to be eligible for government rebates which apply to this fuel type. If you currently have natural gas connected but are using electricity for heating of the water and you decide to swap over to natural gas hot water system such as a Rinnai Infinity 26, Rheem Metro or Vulcan, there is currently $500 in rebates available. If you do not have any gas connected to the property and opt to have it installed, you will firstly get the $500 as mentioned above when connecting a gas water heater and am additional $1,000 for connecting a gas meter to property. Solar hot water will also entitle you to a government rebate. As mentioned early in the article like heat pumps if you replace an existing solar hot water service with a newer system providing it has served the life of its warranty (as a guide) you will be entitled to fill out the correct form and apply for your rebate. As with the situation of a new heat pump installation if you decide to upgrade from a dedicated electric storage water heater such as a Thermann or Ever Hot to a solar heated water service such as a Solar Hart, Edwards, Apricus or Rheem Lo-Line then you will also be eligible for government rebates. These all vary due to the many different models available to customers in Adelaide. It is a situation where you can’t lose, not only do you get to claim up wards from $1,000 on rebates but the technology which you have selected will be using far less energy leading to on going running costs on a business or households to be lower. It’s a bonus the utility bills are going to be lower and your impact to the environment will be decreased. *please note the information in this article was current at the time of publishing. Stiebel Eltron have been in the water heating market now for nearly 100 years when back in 1924 Dr. Theodore Stiebel founded the company in Berlin. Today the company is better known for its green energy low carbon systems through the delivery of heated water via heat pump technology. Stiebel Eltron also offer compact tankless instant electric water heaters for end users where their demand is low i.e. kitchenettes, laundry sinks, doctors rooms and hand basins. These models can be installed below bench or directly above the sink depending on its desired use. They come in a sleek modern looking outer case, quiet dispenser, easily operated and guaranteed reliability under a 5-year manufacturer’s warranty (domestic applications only). Today many new homes are being built with multiple bathrooms that are typically positioned close to each other allowing for one large continuous flow gas water heater to supply hot water to these various outlets such as baths, bidets, showers and basins. What is neglected unfortunately is the kitchen sink, but there is a solution. Delivery of water from a hot water service to the kitchen sink has a terrible reputation for taking a long time and by the time it arrives the person is likely to have finished using the tap. But with the installation of a Stiebel Eltron under bench unit which is plumbed up directly to the hot feed instead of the cold any water that leaves the properties hot water service for delivery to the kitchen sink is immediately used as intended “hot”. Because the under-bench unit is connected to the hot supply pipe it utilises any of the water being fed to it from the properties water heater. Initially the under-bench unit will consume a little bit more electricity as it heats to cooler water in the hot pipe, but as the water temperature increases as it makes its way over across to the kitchen the Stiebel Eltron system starts to use less energy. What does this mean? It means no longer are property owners waiting for hot water to finally arrive at the tap wasting countless litres of water (on average 1.5 litres of water is wasted every time the tap is turned on, that’s 5,475 litres of water per year, working on the average house hold turning on the hot tap at the kitchen 10 times per day). Instantly upon turning on a hot tap there will be water at the selected temperature. It doesn’t matter whether you have an existing property, building a new property or renovating these types of water heaters can be adapted to suit your demands. There is always going to be water plumbed up to a kitchen and it doesn’t have to be hot water these systems are designed to take cold or hot water feed pipes. The electrical supply cables to one of these systems is single phase (which is what every property who has electricity is connected to) and must be on a dedicated circuit which once again is a very simple process to have performed. If you are considering your options for hot water to an office kitchenette or a commercial fit out contact us today and let us further discuss the options to suit your requirements. You will be amazed just how efficient these systems are and just how little space they require to be installed.